Envirosafe Ireland provide Tile Top AM Anti Fatigue Mats which doubles down on combating fatigue even while providing a top to bottom anti-microbial solution. An anti-microbial top surface provides top level defence and is backed with an anti-microbial Nitricell sponge. It absorbs repeated compression and bounces back to its original form better than any PVC sponge alternative. 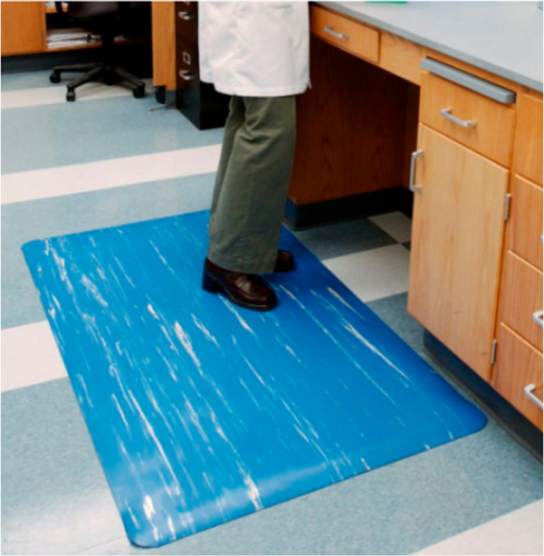 Tile Top AM is a game changer compared to typical tile-top mats for teams in labs, pharmacies, biotechnology and pharmaceutical manufacturing.